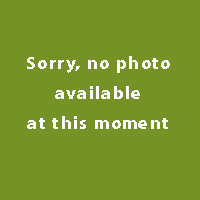 This plant is very suitable for the ornamental garden. She has striking leaf, flowering, or shape and let is easy to combine. Calls for a sunny spot and well drained, nutrient-rich soil. This plant is very suitable to combine with the ‘ basic ‘ plants. Is of origin a ‘ Meadow plant ‘ and therefore particularly suitable for what heavier soil types and every now and then moist soil. 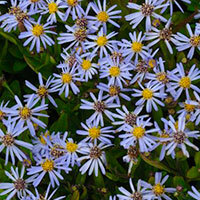 Very short plants produce lots of little starry, lavender-blue flowers with yellow centers in mid to late summer. Stoloniferous plants work well as groundcovers, in rock gardens or containers. Plant patented. Easily grown in average, medium, well-drained soils in full sun. Can be grown in some light shade, but needs full sun for best flowering. The blue flower color (as opposed to the more common purple) sets this plant apart from most other asters. The most versatile Aster! By ground covering growth habit are very easy to maintain. Grows also in what shade and can even get some drought treaties. Masses of small white flowers on sturdy, zig-zag curved Black Brown stems. This plant is highly suitable for gardens with several (almost) mature trees and shrubs. Calls for a spot in partial shade and a nutritious, humus rich soil with little tree roots in her proximity. This plant can also be used as a border plant (on a slightly sunnier place). The bottom should be fine then are damp. Proliferates hardly and can combine well with other plants. A rich flowering, high growing autumn aster that by the late flowering in the autumn color gives a long border. The paarsviolette flowers have a yellow heart. The plant attracts many insects and is suitable as cut flowers. This aster is little prone to mildew.